Sikkim Police emerged as the champion of the 1st Dr Bhim Rao Ambedkar Football Tournament 2018 played at Paljor Stadium here. 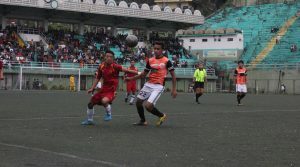 In the nail-biting final match played on Saturday, Sikkim Police defeated Sikkim Aakraman Football Club in tie-breaker. Sikkim Police reached finals by defeating Kalimpong United in the semi-final while Sikkim Aakraman FC defeated Brotherhood Football Club in another semi-final match. Both teams played neck-to-neck from the start by an attacking game to take the lead in the match. Kushen Mangar converted a direct free-kick into the lead for Sikkim Aakraman FC in the 25th minute. Sikkim Police players tried their best to equalise the score but the first half ended with same score-line of 1-0 in the favour of Sikkim Aakraman FC. Sahensha Ansari extended the lead of Sikkim Aakraman FC to 2-0 in the 63rd minute. 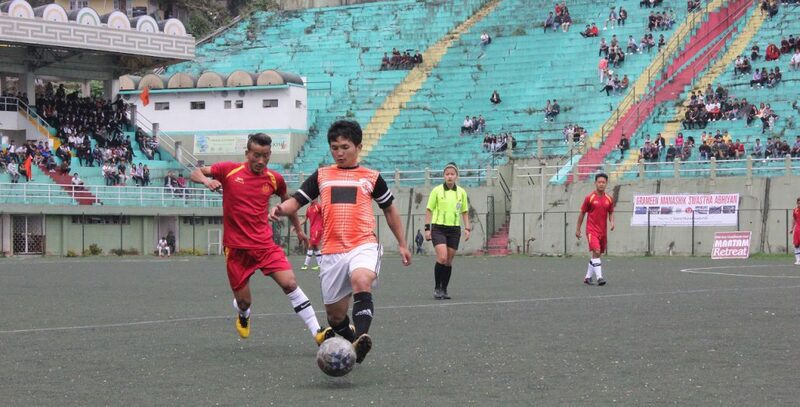 While Sikkim Police players trying their best to bounce back into the match, the referee offered them a penalty kick in the 67th minute for roughly tackling of its player in Sikkim Aakraman FC D-box. Dawa Lepcha successfully converted the penalty kick into the first goal for Sikkim Police. Sikkim Police players with new energy played their hearts out to equalise the score-line and result came only in the dying minutes when Bir Bahadur Pradhan scored the equaliser for Sikkim Police in the 89th minute. The full-time of the match ended in a 2-2 draw and extended for the tie-breaker through penalty shoot-out. In the penalty shoot-out, Sikkim Police converted all five shots into goals while Sikkim Aakraman FC players managed to score just 3 goals. Finally, Sikkim Police won the match by 7-5 goals via tie-breaker to lift the champion’s trophy. Sangay Bhutia of Sikkim Police adjudged as the man of the match while his teammate Dawa Lepcha was awarded with man of the tournament trophy. Ronal Rai of the State Sports Academy received the best goalkeeper trophy and the highest scorer trophy was given to Bir Bahadur Pradhan of Sikkim Police. 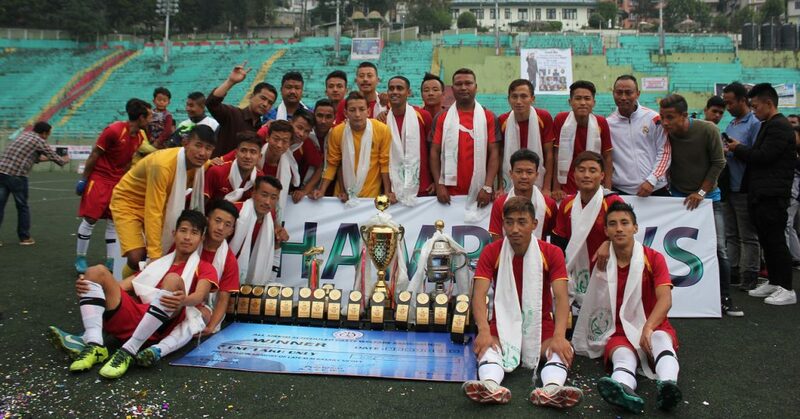 Sonam Lepcha of Sikkim Himalayan Sporting Club was adjudged as the emerging player of the tournament and the fair play trophy was awarded to the State Sports Academy. The winning team received a cash prize of Rs 1 lakh along with trophy while Rs 70,000 along with a trophy was given to the runners-up team. Roads & Bridges Minister GM Gurung, who was present as the Chief Guest, along with the Health Minister AK Ghatani and other dignitaries, handed over the cash prizes and trophies to the winners. The tournament was organised by the All Sikkim Scheduled Caste Welfare Association (ASSCWA). A total of fourteen teams from in and outside the State participated in the tournament.